Fires start at every company. Turbulent times strike and employees get hot under the collar. Business slows, and attitudes change even in the coolest team players. Even the top salespeople in your organization can begin to burn with dissatisfaction. All companies go through tough times, and face situations where employees start to flame the fire. 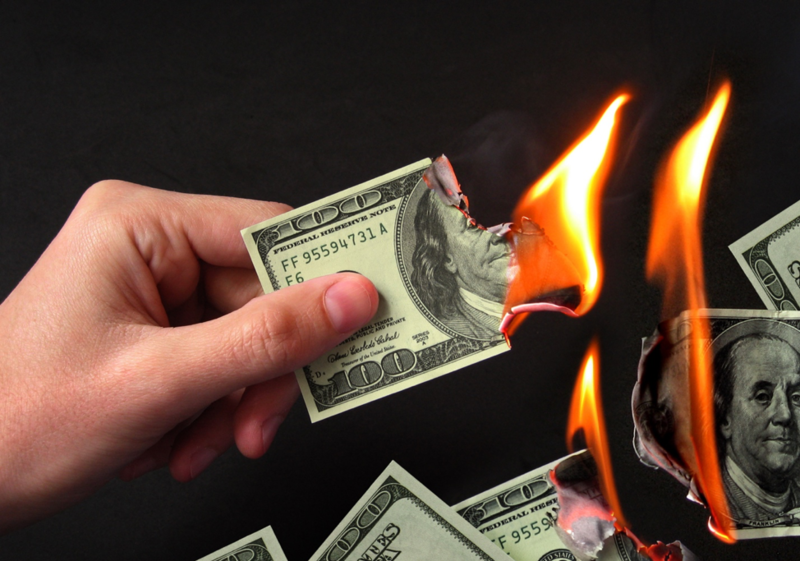 If you are not careful you will burn through revenue without even realizing it. Don’t let the negative employees scorch your business or employees. No matter how key an employee might be, negativity is never allowed in one of my companies. As soon as I witness an employee being negative in any way, I make it clear their negative behavior does not belong in the workplace; that they must respect the rights and feelings of others at all times. I always try and encourage positive communication to resolve issues between myself, the employees, other co-workers, or the company in general. Getting rid of a top employee with a negative attitude could cost you revenue… and a lot of income. 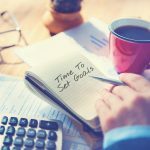 However, negativity will burn its way through your organization changing the mindset of other employees from positive to negative. You’ll go from putting out one fire to putting out several fires. Being afraid to fire negative employees costs companies so much money in ways that are visible and invisible. According to an article in Forbes Magazine, negativity in the workplace “affects everything from engagement to productivity, and even impacts employee retention”. Don’t let your bottom line determine the threshold of pain you’re willing to impose upon your other employees. 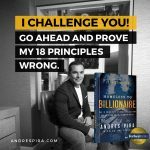 No matter what someone brings to your organization in terms of profitability, if the behavior isn’t right, they are costing you money. Be warned! Negativity can mask itself as gossip in the workplace. Gossip cannot be tolerated just as much as negative comments or behavior. 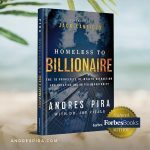 In my new book, being released in May 2019, Homeless to Billionaire, I give you a copy of the “no-gossip” policy I have employees sign. 1. First, toss some water on the negative fire; see if you can salvage the relationship. Talk with the employee and ask questions that get you to the source of their irritation. 2. Ask the negative employee for three solutions to the problems that are making them unhappy. 3. Clearly outline your position on how they are acting towards co-workers, clients, and management; make sure they understand why you do not approve of their actions. 4. Create an action-plan by implementing one of the solutions they provided, if possible. This type of communication shows them you value them as an employee and want to support them. It also means that if the solution leaves them in a negative place, it is not because the company was the problem. 5. Set-up a check-in period every two weeks to discuss the issues and track the resolution. I believe it’s essential to get employees back on the right track. However, if after working with someone who persists with the same negative attitude then the only thing left is to terminate their position. If after two weeks their negativity continues – put water on that company fire immediately – fire them. It’s that simple. Don’t let the bottom line cloud your judgment. You can always replace a top earner, but it is more difficult to replace a well-functioning team. 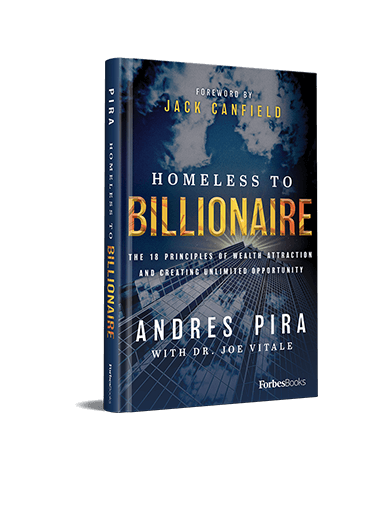 In, Homeless to Billionaire, I chronicle how I grew more than 19 companies using this “no-negativity” policy. I believe attitude is everything in the workplace. A positive working environment, devoid of negative atmosphere, allows for a supportive culture that fosters growth for individuals and your organization. Creating a positive working environment where negativity cannot permeate is the best plan for continued success. Grateful to hear your feedback on how you grow positive relationships in the workplace! 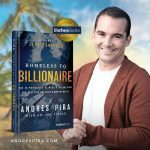 For more business advice from Andres check out his latest article on CNBC.com with The Oracles on How to be Successful and Get Everything You Want in Life featured with Barbara Corcoran from Shark Tank! 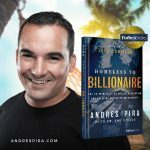 About Andres Pira – Philanthropist, Real Estate Tycoon, Author, Speaker, and Global Citizen, Andres Pira enjoys living in Thailand where his journey began from homeless to a billionaire businessman. Leave a comment below and share your feedback.